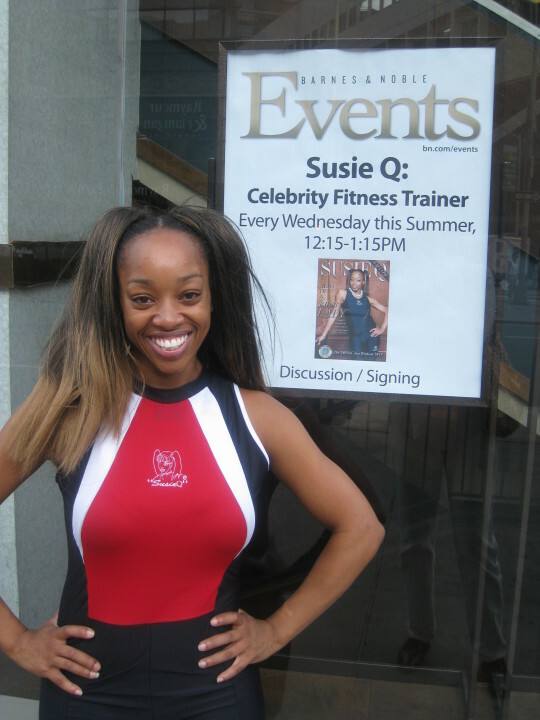 SusieQ is the ARMED Celebrity Fitness Trainer! DR. OZ Approved! SusieQ FitLife: Arms Of A First Lady! DVD on Sale Now! SusieQ & MetroPlus were Live @ The Lincoln Barnes & Noble Store! Thank you, for making history with SusieQ FitLife: Arms Of A First Lady in-store presentation! Never before has this retail giant presented a reoccurring Health & Fitness DVD event series which historically ran the entire summer! You purchased your autographed DVD, received priceless tips and worked out with SusieQ! You ROCK! 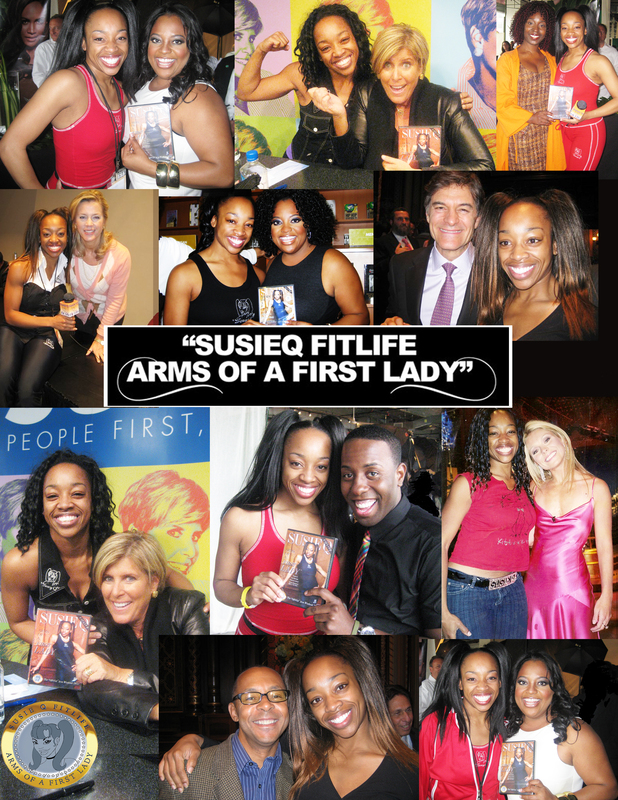 The ALL New Highly Anticipated Fitness DVD entitled “SusieQ FitLife – Arms Of A First Lady”™ in Barnes & Noble Stores! Watch out for the “never-seen-before” exercises called The New Bama Swing™ , Armed Force Raise™ , The 40-HR Lady & SusieQ Sculpt! We have changed the game of fitness as you know it! Beginners, intermediate or seasoned to advanced participants will find that this DVD is best suited for all levels. The Buzz Behind The ARMED DVD! The beauty of her all new exercise DVD is that it requires absolutely no equipment and is unlike any other ever created of its kind on the market! You can be at home or in a hotel room; where absolutely no gym membership is required! Oh YEAH! Susie also created a women’s fitness clothing line that is exclusively featured on the DVD called “SusieQ FitLife”™ wear by Susie Wong. SusieQ FitLife™ is an inspirational movement focusing on health, wellness and fitness goals throughout the community improving and empowering your life through entertainment, fitness and lifestyle products! “Arms Of A First Lady” Leads the Pack @ Barnes & Noble! “Arms Of A First Lady” Leads the Pack! “Arms Of A First Lady” Runs the Streets of NYC on Broadway!